Do you want to Update LeEco Le 1s / Eco to Nougat 7.0 officially ? If yes then you are at right place . Today we are here with the Guide to Upgrade Letv le 1s / Eco in android nougat, And After you follow this guide you will be able to enjoy Latest os on your device . LeEco earlier known as Letv was launched around 1 year ago in india and just after the launch the company became popular because of the Le1s, However now leeco have a wide variety of devices in India out of which some are entry level devices and some are flagship devices . LeEco Le1s comes with a 5.5 inch screen and 401 pixels per inch having 1080X1920 resolution, The display is multitouch and supports upto 10 fingers . There is no info about the protection of the display . There are two variants of the Le1s one is the Le 1s eco and the other is the standard Le 1s, Standard Le 1s runs on Lollipop and the Eco version runs on Android 6.0 Marshmallow, Today in this guide we will show you How to Update LeEco Le 1s and Le 1s eco to Android nougat 7.0 . Android 7.0 Nougat is the latest operating system from google, The new os comes with many new features and upgrades out of which the most popular is the Multiwindow feature which lets you use any other app in the same window . There are many more interesting features like the System Ui tuner, battery saver and many more .You may also Like :- Miui 8 Custom rom for LeEco Le1s . You will Get official update only after the company releases it and as of now company hasn’t released a nougat update for LeEco Le1s and Le1s Eco. There must be more then 55% battery in the smartphone . Make sure there is more then 4Gb of space in the internal memory . Thats all !!! So this was how you can Officially update LeEco Le 1s / Eco to android 7.0 nougat . As we all know that Lineage os rom is a all new rom and basically a continuation of the much popular Cyanogenomod . 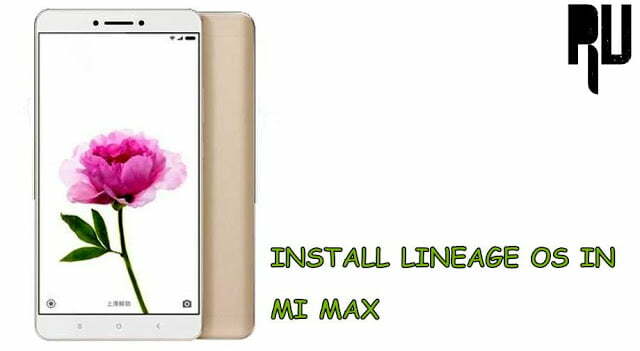 So if you are not able to officially update LeEco Le1s and Le1s eco to nougat you can follow the guide on How to Install Lineage os rom in Le1s/ Eco . First of All Download the Lineage os rom in your computer . make sure the rom is in zip format . rename the file to Update.zip or whatever you like but make sure that you remember the name of file . Connect your smartphone to Pc using a usb cable . check that your pc has recognized your device . copy the rom and paste it in the root of sd card . Disconnect the smartphone from pc . you have to Boot your phone in recovery mode . To boot in recovery mode you have to press all 3 keys together or Volume up + volume down + power keys together . Dont release the keys until your smartphone enters in recovery mode. After you make this backup you can restore it later if anything goes wrong . Now go back to the main screen and tap on Install . The installation will take around 5-7 minutes to complete . 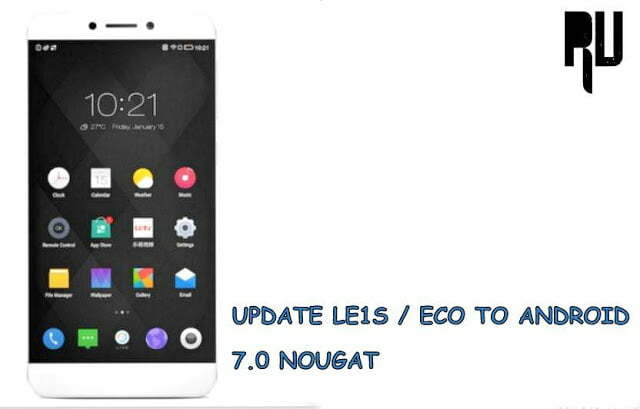 So this was our guide on How to Update LeEco Le1s and LeEco Le 1s eco to android 7.0 nougat, i hope you liked the Lineage os rom for LeEco Le1s / Eco .